Democrats take control of the US House of Representatives today, ushering in two years of divided government during which Donald Trump will be remorselessly investigated for evidence of wrongdoing, while struggling to achieve his policies. 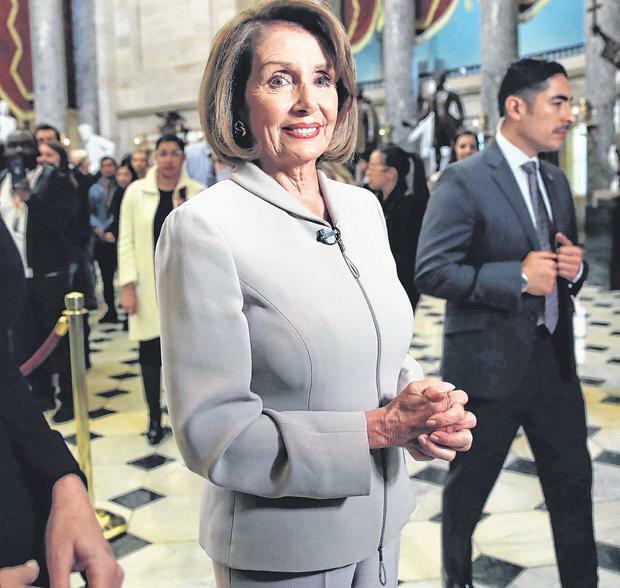 As the 116th United States Congress convenes, Nancy Pelosi was expected to be sworn in as the Democratic Speaker of the House and her allies will take control of the lower chamber’s committees. Those committees will launch a litany of probes into the president, his family, and his businesses, including demanding Mr Trump’s tax returns. As America entered what promised to be a period of bitter political division in its legislature, Mr Trump also faced a fierce attack from a senior member of his own party. Mitt Romney said the president had “not risen to the mantle of the office”, had displayed a “glaring shortfall” of character, and accused him of “abandoning allies”. Mr Romney, the 2012 Republican presidential nominee, is entering the upper chamber of Congress as a Republican senator for Utah. Democrats won control of the House in the mid-term elections in November, while Republicans retained the Senate. The first task of the new Congress will be to end a government shutdown that began before Christmas, caused by an impasse over funding for Mr Trump’s proposed border wall. Hundreds of thousands of public workers have been sent home unpaid. Democrat leaders, including Ms Pelosi, were due to meet Mr Trump at the White House last night and were expected to quickly introduce a pair of spending bills aimed at reopening the government. However, they have vowed not to authorise funding for the wall. Congressman Hakeem Jeffries, chair of the Democratic caucus in the house, said they would “draw a line in the sand” and refuse to “waste millions in taxpayer dollars on a medieval border wall”. 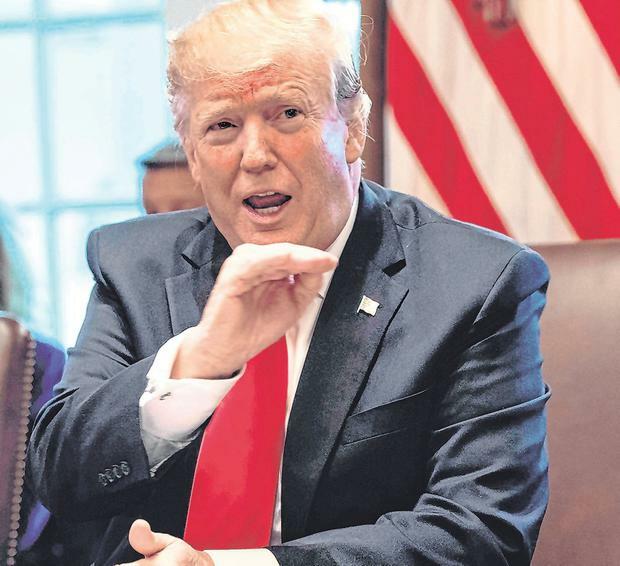 Speaking ahead of the meeting, Mr Trump said the government may be shut down for a “long time” because the border was “leaking like a sieve” and “needs a wall”. Mr Trump also said he was open to a compromise that would involve providing legal status to young illegal immigrants known as the “Dreamers”. Meanwhile, Kirstjen Nielsen, his homeland security secretary, warned “fake families” were entering the US. The upcoming Democrat legislative agenda will prioritise reducing prescription drug prices, an infrastructure bill, and campaign finance reform. It will also include banning members of Congress from serving on corporate boards. They also intend to relax a century-old ban on wearing hats in the chamber, which will allow Ilhan Omar, a new Muslim-American congresswoman from Minnesota, to wear a head scarf. Democrats said they would, in their first week, table a resolution to defend the Affordable Care Act, also known as Obamacare, after a recent Texas ruling that the healthcare system was unconstitutional. They denied suggestions that the government could grind to a halt as investigations related to Mr Trump and Russian interference in the 2016 election were pursued by committees. But Congressman Jim McGovern, a Democrat, said his party would be able to “walk and chew gum” at the same time. The Democrats will also face an internal struggle as a large, mostly youthful, influx of new members of Congress pressures the leadership for more action on issues including climate change. Mr Trump, and Republicans in Congress, will seek to exploit those divisions.